Russian-terrorist forces in Donbas continue to actively shell the positions of Ukrainian troops and civilian objects from a variety of weapons, including heavy armaments. Armed confrontations between advanced units of Ukrainian troops and terrorist groups were observed both on the line of contact and directly in the tactical rear of the ATO forces, and were caused by enemy attempts to conduct reconnaissance on the tactical level and to intensify sabotage and terrorist activities in the operational and tactical rear of the Ukrainian troops. Terrorists are conducting a massive technical reconnaissance with UAVs, RTR equipment, and optoelectronic devices in several areas and directions. During the past 24 hours, insurgents have intensively fired on the stretch from Mar’inka to an area north of Avdiivka. Terrorists used 122- and 152-mm artillery practically throughout the entire section, in some areas, they used armored vehicles. Small arms, 82- and 120-mm mortars, AGS-17 and ZU-23-2 are widely used; enemy sniper groups have also been observed. In the vicinity of Novohorodske, Leninske, and Shumy, insurgents fired from small arms, periodically using 82-mm mortars and AGS-17 automatic grenade launchers. 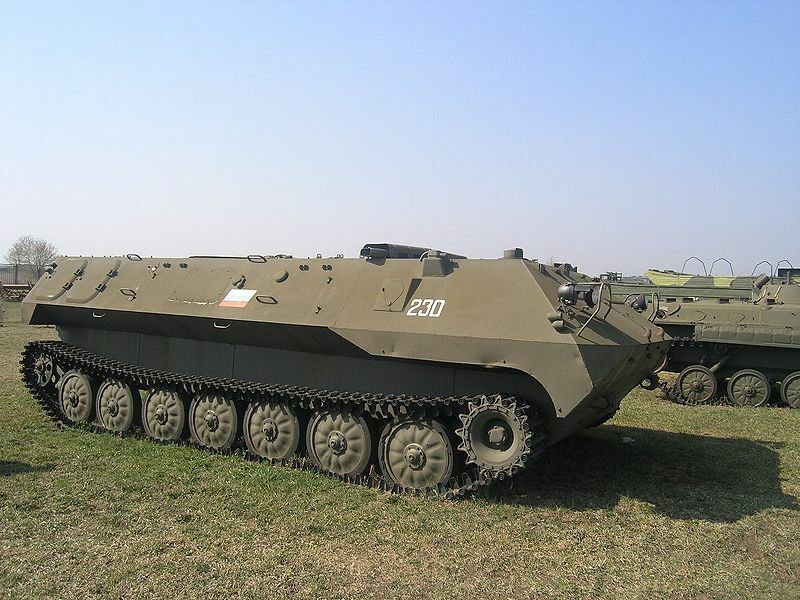 Fire strikes from 122-mm artillery were twice carried out on the positions of ATO forces (firing positions of insurgent artillery units with 122-mm 2S1 “Carnation” self-propelled guns have been recorded by the IR group network in the vicinity of “Mayorskyi car market” located along the Horlivka – Artemivsk highway near Horlivka). A change in insurgent tactics reduces losses during assaults on ATO forces’ positions and increases the effectiveness of armed gangs. In particular, only “target groups” that attempt to work closely together carry out active measures – a firing armored group, an artillery group that provides supports ([it] covers infantry groups or snipers that need to take or leave their positions), several infantry groups, sometimes sniper and sabotage and reconnaissance groups (operating in the “neutral zone”). Terrorists are trying to establish full cooperation at the tactical level and to avoid “crowd” measures as [they used to operate in] before. At the moment, this tactic is not without problems due to lack of desire to carry out orders from “staff structures” given by “commanders” at the tactical level (different “chieftains,” “veterans of local wars,” and so forth). A professional group of terrorist snipers has operated in the vicinity of ​​Mar’inka for several days; the group regularly shells strongholds and roadblocks of ATO forces in the vanguard. In the coastal direction, an insurgent artillery maneuver was observed (a marked change in firing positions (six units) of 122-mm 2S1 “Carnation” self-propelled artillery south of Oktyabrskyi settlement and the transfer of a 120-mm mortar unit to the north of this settlement in the direction of Telmanove were recorded), as well as attempts to carry out consecutive fire strikes by concentrating weapons on the narrow sections. In the vicinity of Zolote (Lugansk region), insurgents have actively used 120- and 82-mm mortars during the past 24 hours, trying to carry out massive fire strikes on the advanced positions of the ATO forces and covering the actions of their sabotage and reconnaissance groups towards Hirske. The terrorists have repeatedly carried out fire strikes from 122-mm artillery near Stanytsia Luhanska from the direction of Mykolayivka (one firing battery of 122-mm D-30 howitzers), AGS-17, and ZU-23-2. Mutual combat activity continues between Novotoshkiva and Sokolniki, initiated by the “war of small groups.” Operations, on the part of [both] parties in the form of ambushes, counter-ambushes and raids, have been observed. From the vicinity of Frunze and Smile, terrorists repeatedly carried out fire strikes from 122-mm artillery on Krymske, Sokolniki, and Trokhizbenka. The enemy made numerous attempts to transport their sabotage and reconnaissance groups beyond the Siverskyi Donets river both in this area and the area up to Shchastya. Ukrainian servicemen were repeatedly forced to engage in armed confrontations with insurgent sabotage and reconnaissance groups over the Siverskyi Donets river on this stretch. 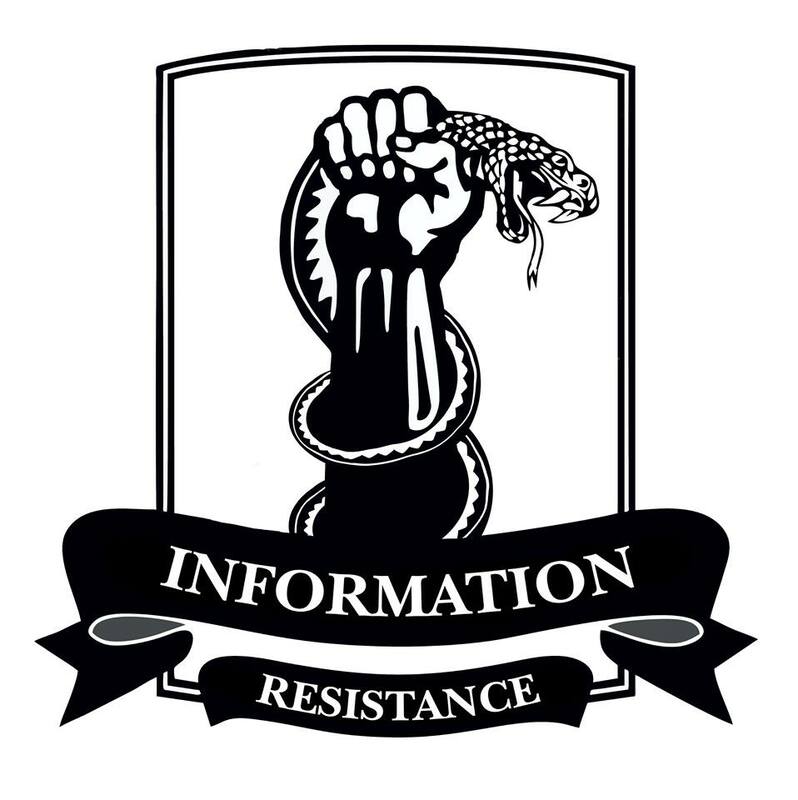 South of Donetsk (from Olenivka to Hranitne), terrorists continue to employ the firing raids tactic – using small mortar units (two-three 120- 82-mm mortars [on] vehicles), sometimes in combination with AGS-17 and 122-mm artillery. Raids are carried out using the following system: reconnaissance of targets and additional exploration (mainly conducted by technical devices – UAV or less often by observers and spotters with optoelectronic devices), with concurrent preparation of firing positions, followed by advancement from inside firing detachments to previously equipped positions (conducted by march), rapid fire raid on targets, and withdrawal. This arrangement complicates the enemy detection and opening retaliatory fire by the ATO forces and allows the enemy to keep its military equipment and personnel most of the time outside the firing impact zone of Ukrainian troops. In the vicinity of Luhanske and Svitlodarsk, terrorists fired from small arms and mortars; in the vicinity of Myronivske, insurgents used tanks supported by mortars (two groups 2-3 tanks each operated from woods, mortars covered their withdrawal). Near Popasna, insurgents used 120-mm mortars. Transfer of an insurgent armored group – 22 tanks (mainly T-72), four BMP-2, four BTR-80 and a MT-LB – has been observed towards Donetsk through Shakhtarsk and Zuhres. Between Chervona Polyana and Antratsyt, a unit of five 152-mm 2S3 “Akatsiya” self-propelled guns has been observed on the march, accompanied by two MT-LB, two BTR-80 and two “Ural” [cargo] trucks. An insurgent MLRS battery (six BM-21 “Grad” MLRS) has been transferred through Perevalsk towards Alchevsk and further north. Two MT-LB, two BMP-1, and a BTR-80 were also recorded in the convoy. 24 terrorist tanks were transferred through Oleksandrivsk and Yuvileine towards Svitlodarsk. The movement of four D-30 howitzers on a tow truck has been observed in the vicinity of Frunze towards Slovyanoserbsk. 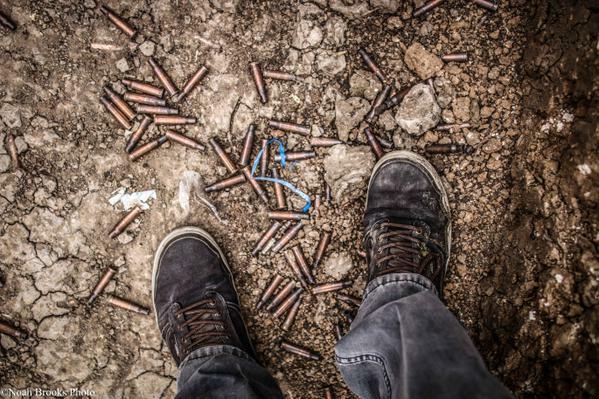 Bullet casings on front line in Shyrokyne. Photo: Noah Brooks.